Build 3023 'Mt Daniel' now available! Improved Snow modeling, OpenEXR Support and more.. Put our algorithms to work for you. Use tools like erosion to create realistic CG landscapes. Then export to Unity, UE4, or your favorite 3D tool. For nearly a decade, World Machine has been the go-to terrain generation tool for 3D artists. More than 8,000 customers have chosen WM to create terrain for AAA game titles, visual effects, or their own artwork. World Machine has allowed me to quickly and efficiently create massive game areas both terrestrial and otherwise. The feature set and work flow get better with each release. A must have tool for any environmental artist. I have used World Machine on a number of film projects and find it an invaluable asset for environment creation. World Machine was instrumental in creating the terrain for our Supersonic Sled demo. We needed a very large landscape and wanted something natural-looking but with enough control that we could place canyons and hills exactly where needed. World Machine handled all of that beautifully. World machine gives us the power to create very realistic terrains in a short amount of time. ... Its erosion filters are the best I have seen but also give a lot of control over the final look. i would recommend this to any development studio that needs very realistic terrains, quickly! 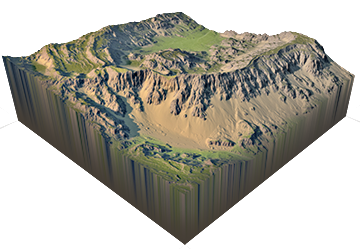 World Machine works well with our proprietary terrain editor in that we can not only create height maps, but alphas for our terrain paint layers as well. This saves a bundle of time and with results that look more detailed and professional. I have been using World Machine since version 1.25 and haven't found anything else that can compete for ease of use, versatility and stunning results. Unlike traditional brush-based terrain editors, World Machine uses a procedural approach. Shape the terrain using basic building blocks such as fractals... then hit them with simulations of nature to create realistic features. Simply wire together action boxes to create your world. Here's a great landscape created in less than two minutes. Import a hand drawn mockup if you'd like, or design completely within World Machine. You have plenty of tools available to tame those crafty fractal generators. Sketch the location of major rivers and have them carve river valleys. 70+ tools available for your use. Create superb texturing by using information gathered during erosion. Get nice results quickly by using some of our built-in macros and presets, or dive in deep and create sophisticated texturing networks of your own. Whether megatexture or splat-map based, you'll create some awesome texture coverage for your terrain model. Import into your 3D app in a few simple steps. We provide workflow guides for the most popular software. Export meshes, heightmaps, megatexture-style bitmaps, splat or weightmaps. Or maybe some vegetation distribution or special zones.. the possibilies are endless. A full suite of procedural tools for creating terrain from nothing. Or load from a file for a starting point. Simulate the real world: erosion, talus slopes, snow.. Let us take care of the natural effects for you. Frederick Hopp and EightVFX used World Machine to help put together a television ad for HP's Summit on the Summit initiative. World Machine's graph-based approach and rapid previewing is a huge help, allowing you to experiment with many different looks on the fly. The result... well, watch the video. 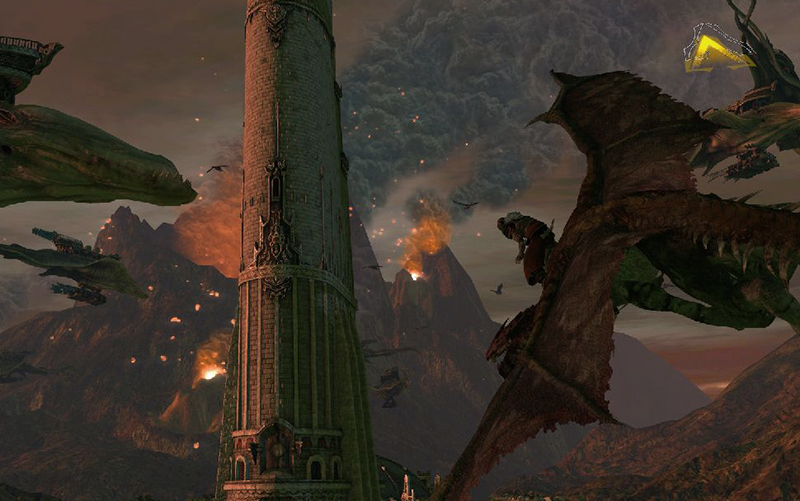 The miniature mountain is modelled in WM, as well as the background behind the people climbing, and the background of the packshot. Shaded and rendered in Maya/MentalRay. Game designer Matthias Worch used World Machine to create terrain for the game Lair. Why did you choose World Machine? We were making flight games, [and] our editor had the industry standard array of terrain tools ... those tools quickly proved inefficient when we switched to the next generation of console hardware. How did World Machine improve your work and workflow? Better terrain awaits. Get started for free. The Basic Edition of World Machine is free for personal, noncommercial use. Or buy a full license to unlock all of WM's abilities. Download Basic Edition Purchase Now! © 2018 World Machine Software LLC. All Rights Reserved.